A big thank you to Marcel Heijnen for the publicity poster for our gig at Artistry. 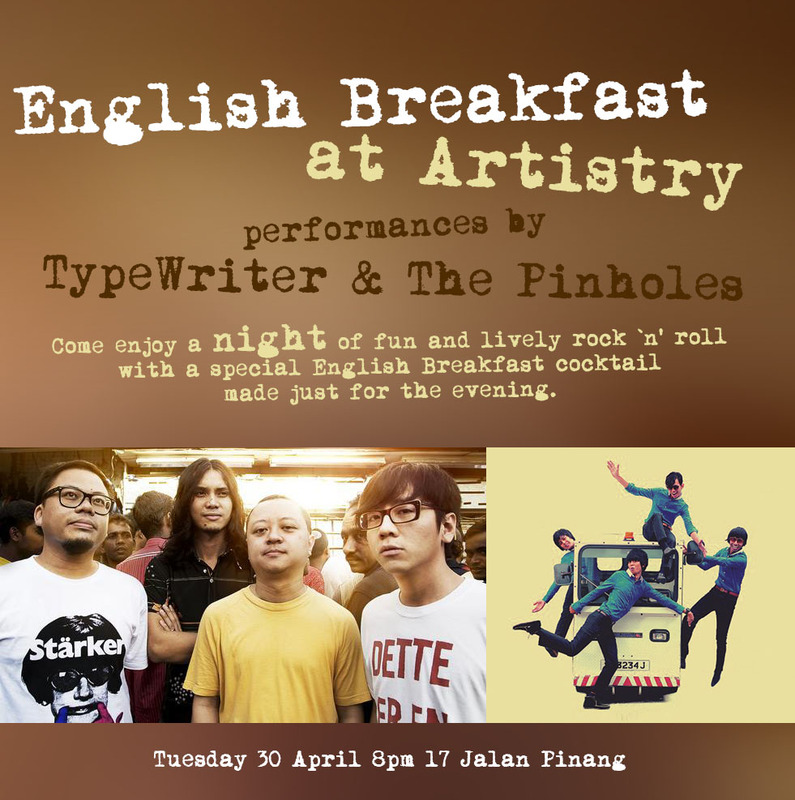 We’ll be playing with our fun lovin’ friends, The Pinholes on the eve of the Labour Day holiday, starting at 8pm sharp. Artistry will be coming up with an English Breakfast cocktail especially for the occasion and donating part of the proceeds of the cocktail sales to our English Breakfast Tour. The Pinholes will be selling their “Youth Of Gold” EP, which was mixed by Patrick Chng, and we hope to have our English Breakfast Tour t-shirts for sale too at the gig. Admission is free. See you there!